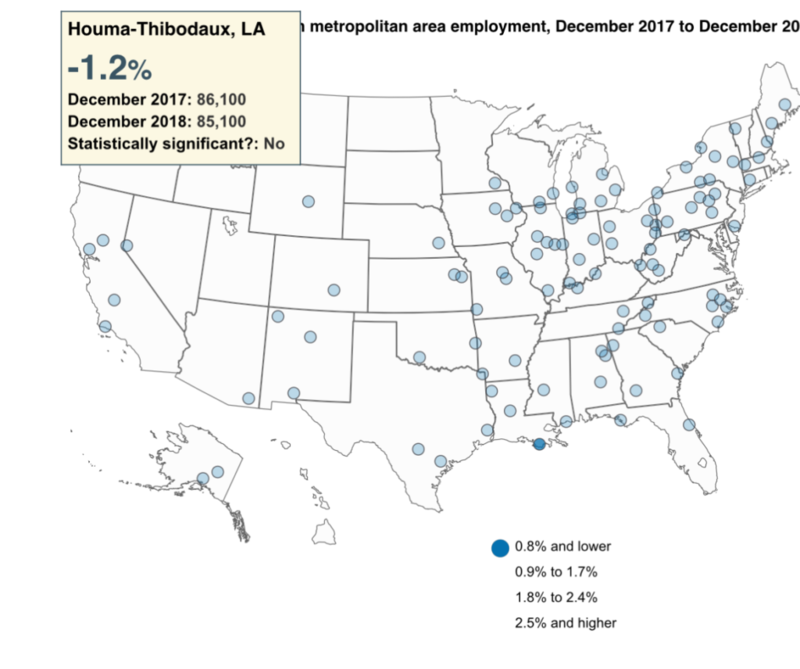 Over the last 12 months, only the large cities with population exceeding 1,000,000 experienced healthy employment gains, according to the latest numbers released by the Department of Bureau and Labor. 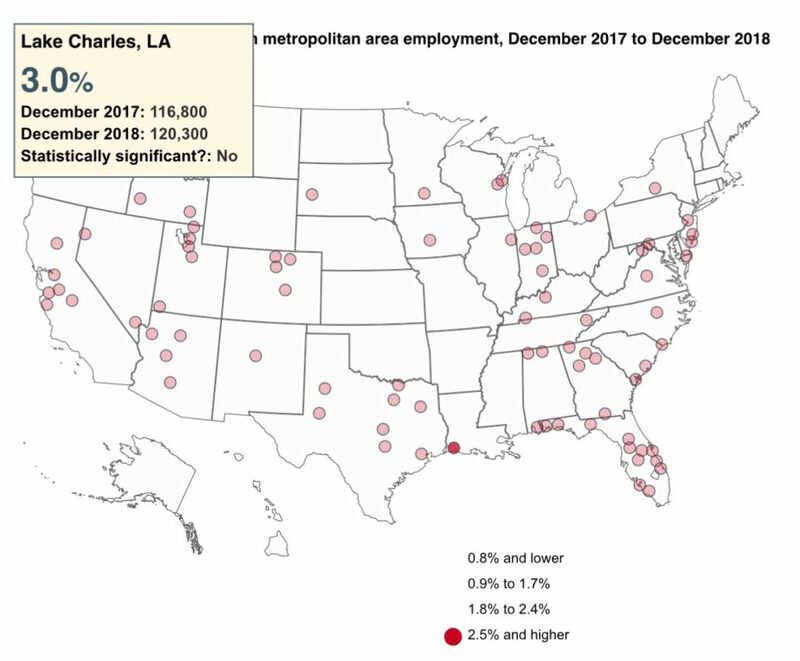 Employment rose in 76% of the metropolitan areas with a 2010 Census population of 1 million or more, compared to 16% employment growth among all 388 metropolitan areas. 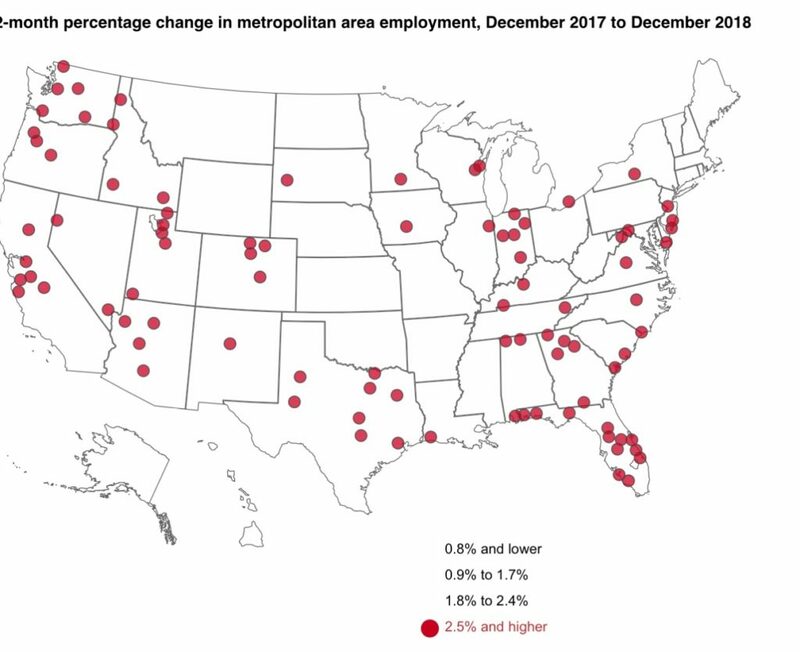 If you are looking for opportunity, these red dot cities are growing. Houston-The Woodlands-Sugar Land, Texas (+3.5 percent). 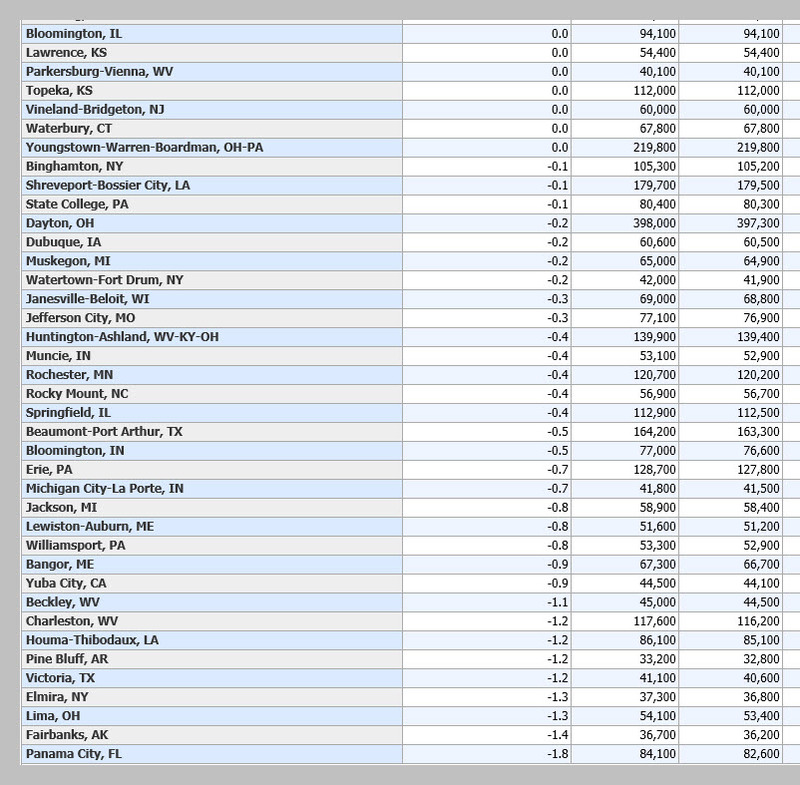 Blue dots signify the worst employment growth cities. 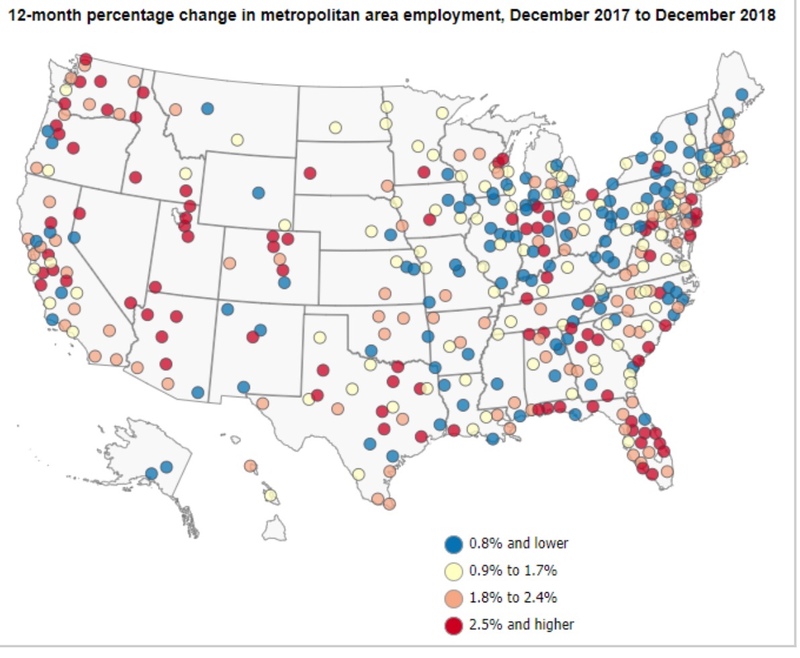 The map above shows the cities with employment growth at the bottom of the barrel. Notice the map of worst cities is concentrated in the Northeast, mainly Pennsylvania, Ohio, Indiana, Michigan and Wisconsin. It is no coincidence that these states with declining opportunity have angry voters looking for someone just as angry to lead them out of a poor economy with promises of bring back the economy.